Agent Insights - What’s in Your Real Estate Email Signature? 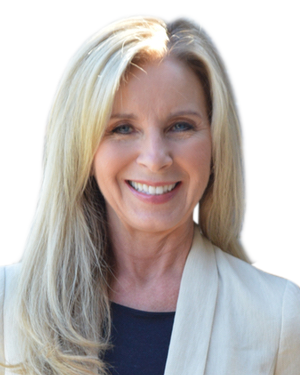 In today's Agent Insights post, Teri Pacitto - a RE/MAX Real Estate Agent in Westlake Village, California - gives advice for what to include (and what not to include) in real estate email signatures. Sending emails is part of what we, as real estate professionals, do on a daily basis. Be it to a client or to other real estate professionals or vendors, we always include it in the content of an email - often that is the only information that we receive. Communication sent out as real estate business emails should be professional and have a clear message. But another aspect of that email which I think is very important is an email signature that provides a way to contact the sender (a subject line with information also helps). What is not needed is a photo of you or your dog, your tagline or your social media links. Color or fancy text, and embedded images are also not the best to use in a business email signature. Think of the email recipient’s ability to easily to click on your email address or phone number to respond quickly and efficiently. If the recipient cannot reach you easily the response will often be delayed. As a real estate professional who receives a large amount of emails, I see, more often than not, offers and correspondence from others which provide no way of knowing how to contact the sender other than a response to that email. This is not only frustrating but delays the response back to the sender and could possibly cost a client an offer. The worst thing one can do is have no contact information or even a name in an email signature. Wrote: Email changed to protect the guilty. Just change the due dates! Maybe this is the only transaction that this agent has going, but for one who has many I don’t have time to become a detective and find the person hiding behind an email. This is only one example but I see this all day long. What it comes down to is deciding what information a business professional or prospective real estate client needs to know if he or she wants to get back in touch. The purpose of a signature is to let them see who you are and how to make it easy to get in touch. For the full post and more from Teri, visit: www.teripacittogroup.com. Interested in More Real Estate Email Tips?